Hayley Barnes offers a complete tailoring service. 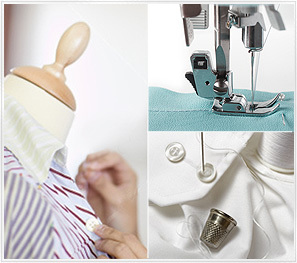 From crew uniform and guest clothing alterations to general repairs. Broken zips and missing buttons can be replaced. Curtains and blinds can be repaired and relined. Any item can be looked at and a solution found to damage and wear. "I cannot recommend Hayley high enough for all the hard work and skill she has put into Solemar and we are very grateful."